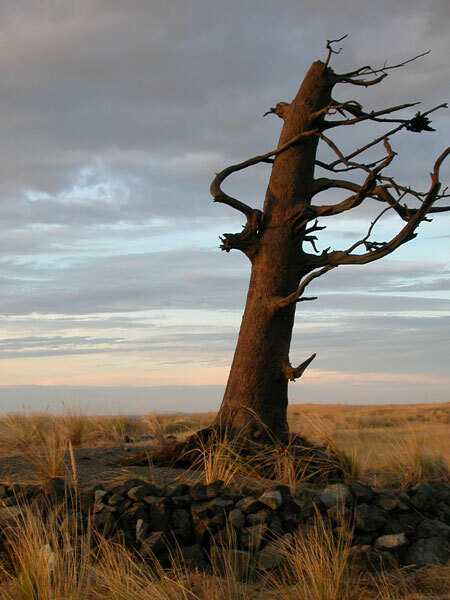 Perched atop a dune and rising more than 20 feet above the Pacific Ocean, a bronze sculpture called "Clark's Tree" is the newest eye-catching magnet on Washington's largest coastal dunes. Commemorating the carving Clark made in a pine tree Nov. 19, 1805, Clark's Tree bears the inscription: "William Clark. Nov. 19, 1805. By land from the U. States." Created by Utah sculptor Stanley Wanlass, the 2-ton tree symbolizes the northern reach of the Lewis and Clark Expedition nearly 200 years ago and now rests along the 8.2-mile Lewis and Clark Discovery Trail between Ilwaco and Long Beach.